Part 2 of the blog series will show you how you can register the nodes to your OSP director via command line create flavors and deploy a simple non HA OpenStack environment. 1. To register the blades I created the following json file. 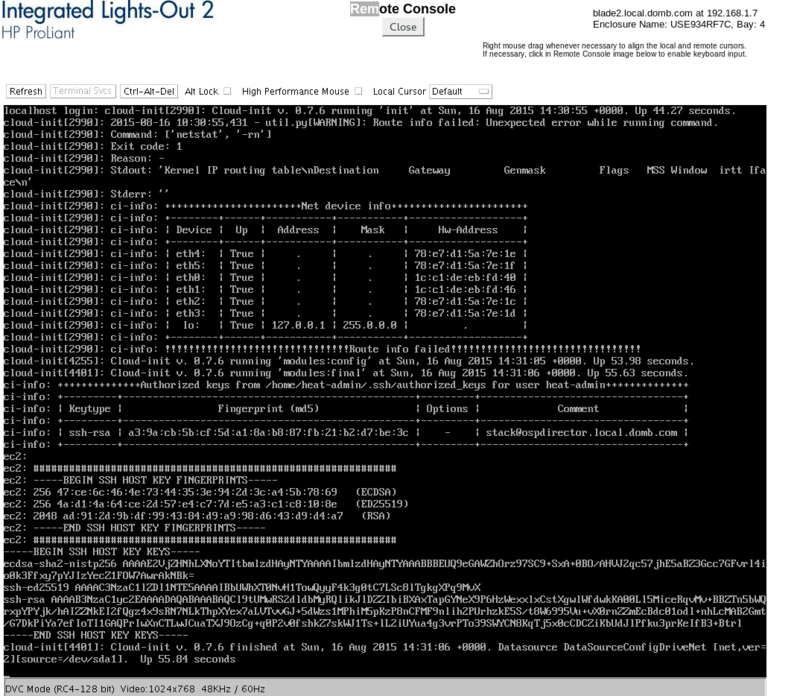 Please keep in mind that if you use hp blades with ilo2 you will have to use the default pxe_ipmitool. The MAC address you see in the json is the mac address from the interface you would like to boot from. 5. Lets inspect the nodes. IPMI will start the nodes and boot them into discovery mode. [stack@ospdirector ~]$ openstack baremetal introspection bulk start Setting available nodes to manageable... Starting introspection of node: f1bbb294-c0b0-45bc-8431-66bf025ab5b7 Starting introspection of node: 489bd260-be3f-400b-9580-84c0b8bd79e6 Waiting for discovery to finish... Discovery for UUID 489bd260-be3f-400b-9580-84c0b8bd79e6 finished successfully. Discovery for UUID f1bbb294-c0b0-45bc-8431-66bf025ab5b7 finished successfully. Setting manageable nodes to available... Node f1bbb294-c0b0-45bc-8431-66bf025ab5b7 has been set to available. Node 489bd260-be3f-400b-9580-84c0b8bd79e6 has been set to available. Discovery completed. Discovery for UUID 489bd260-be3f-400b-9580-84c0b8bd79e6 finished successfully. Discovery for UUID f1bbb294-c0b0-45bc-8431-66bf025ab5b7 finished successfully. Node f1bbb294-c0b0-45bc-8431-66bf025ab5b7 has been set to available. Node 489bd260-be3f-400b-9580-84c0b8bd79e6 has been set to available. 8. Now we are ready to deploy. 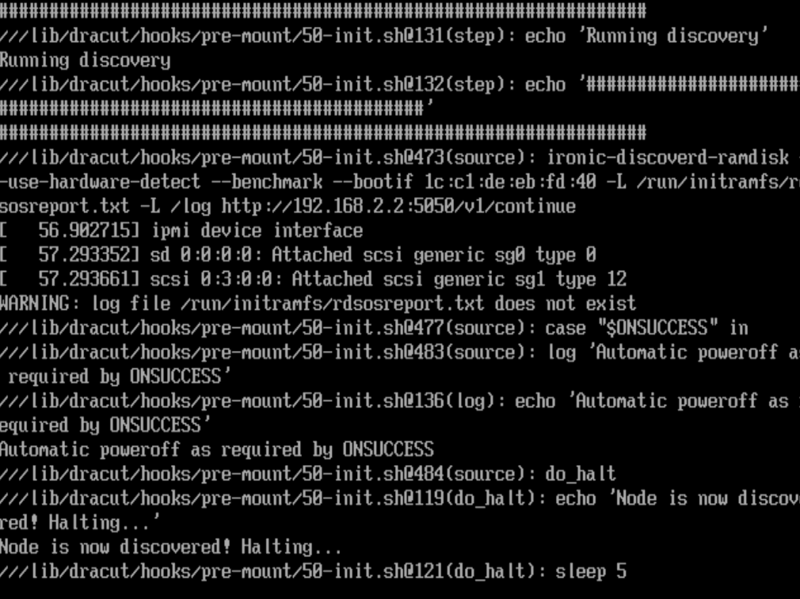 DEBUG: os_cloud_config.keystone Creating endpoint for service 094cc12c3d7f43f1b99e08ef121485b7. DEBUG: os_cloud_config.utils.clients Creating nova client. 11. If you would like to login to your overcloud instances you have to source the overcloud.rc file which you find in stacks home directory. After the introspection, the Power State on all the nodes seems to be “None”. Will it cause any issues. I am building a 3 node controller HA and 5 compute nodes.? Also, Can you clarify, how to add further compute nodes? Does that time we need the Director node? bcoz I planned to power it off, once the overcloud is deployed. Looking for a suggestion ..
Also, how about Network Separation.? Can you pls share something on that too..? for controller and compute on the overcloud.